Custom Planted Containers — Running short on time or just not sure of what plants to combine? Let our very talented container designers help. 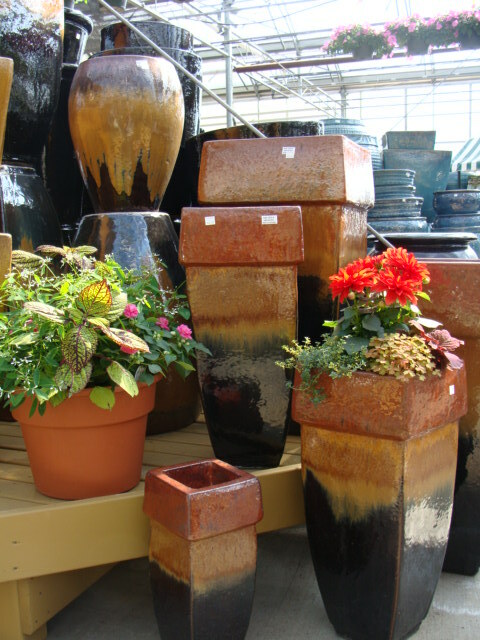 We can create a custom planted container based on your sun requirements, favorite colors, or tell her exactly what plants you want. You can bring your own container or choose from the area’s largest selection of quality pots and containers. For a nominal fee we will provide you with a container garden masterpiece.